La Petite Robe di Chiara Boni "Deana" one-piece swimsuit in solid microfiber. 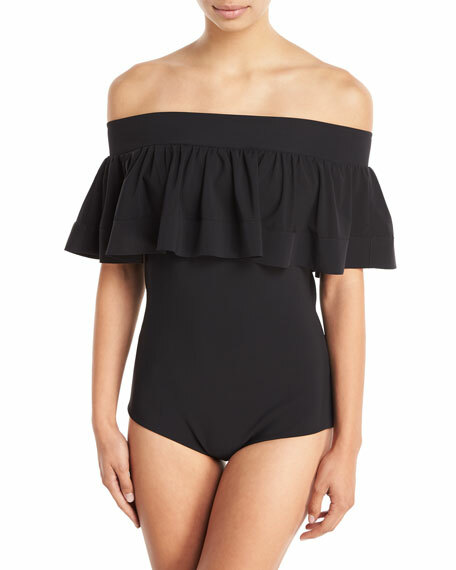 Off-the-shoulder neckline with ruffled overlay. For in-store inquiries, use sku #2408207.